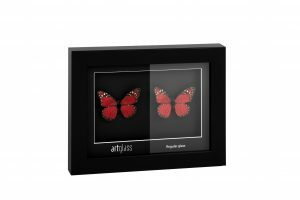 Artglass AR 70™ reveals true colors and texture of the art – no green tint or optical distortions. Thanks to its anti-reflective coating, which reduces unwanted reflections to less than 1%, nothing will prevents one from viewing the actual content of the framed item. Moreover Artglass AR 70™ has a smooth surface that allows for details to emerge unaltered. 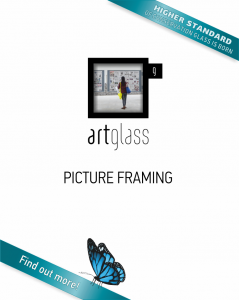 Artglass AR 70™ will enlighten the work of every framer – it can be cut and glazed from either side and its coating is scratch resistant and very easy to clean. Up to 2250x3210mm big sheets are available, while most popular are the cut-sizes, e.g., 1000x1600mm; 1200x1600mm and 1219x2050mm. Sheets in standard inch sizes are also available, e.g., 24”x36”, 32″x40″ and others. UV protection is calculated as an average UV light blocking capability in 280-380 nm spectral region.